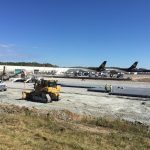 Scope of Project: The project included the paving of an asphalt taxiway to the new Cargo 3 Ramp Extension. 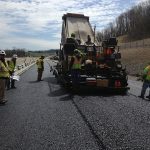 Scope of Project: The project was for the milling and resurfacing of 12 miles on SR70 near Claysville PA. In addition to the asphalt work there was substantial work for rehabilitation of bridges and the repair of a large slide area. 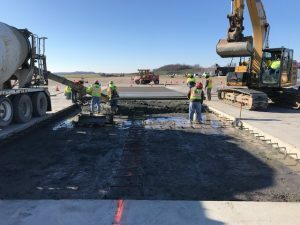 Scope of Project: The project included the reconstruction and widening of SR21 in Fayette County which included the placement of over 50,000 TN of asphalt. Scope of Project: Included the reconstruction of the existing interchange from a partial clover leaf with limited acceleration and deceleration lane lengths to a full diamond interchange. Also included replacement of a 3-span steel girder bridge and an extension of an existing concrete arch culvert. Additionally, this project included widening the existing median and added two signalized intersections at the junction of the ramps interchange. SR 519 widened to provide for left hand turning lanes on to the Eastbound and Westbound acceleration ramps. The project reconstructed approximately one mile of SR 70 (including replacing the SR 70 structure), approximately 1700 of SR 519, and included the realignment of three township roadways.